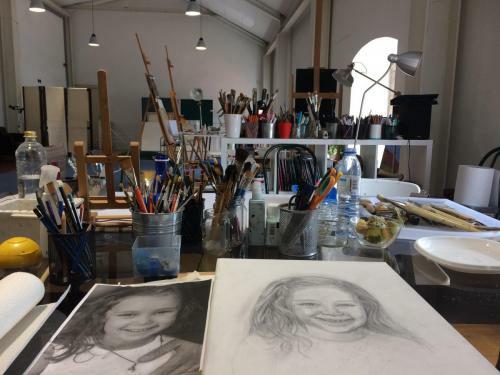 Who would have thought that eight stops from Lisbon’s Rossio station in Barcarena, there’s a city of artist’s studios that laughs in the face of the co-working space concept? 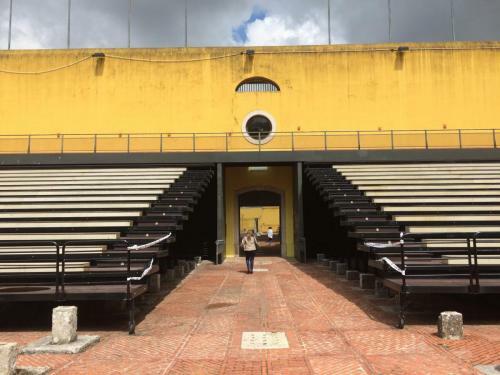 Here you’ll find an immaculately maintained green space, a killer buffet-style restaurant, historical trail walks, an outdoor amphitheater that seats 700, and an archeological museum and dig site all in the same complex. 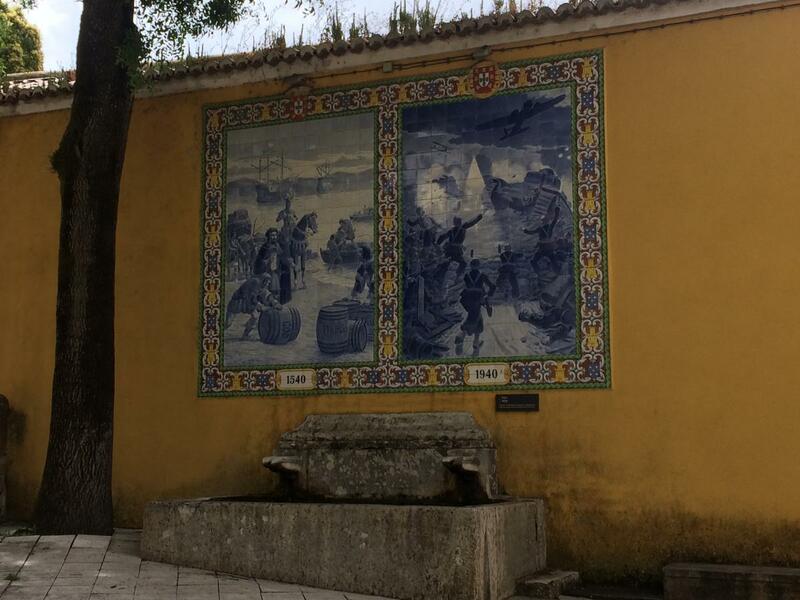 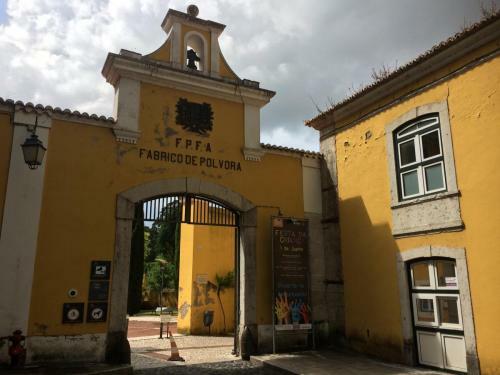 The Fábrica da Pólvora (Gunpowder Factory) is located in Oeiras, the charmingly provincial valley of Barcarena, alongside a bubbling stream and set amidst narrow winding streets. At the behest of D. João II, the factory was built in 1487 to manufacture weapons, serving as the area’s main employer for men and women (who typically made lunch for the workers) during both peace and wartime. It wasn’t until about 1620 that gunpowder, in all its different varieties, began to be produced there. The factory consistently implemented cutting-edge machinery and various sources of energy (including the nearby stream) to make a top-notch product until it finally closed in 1988. 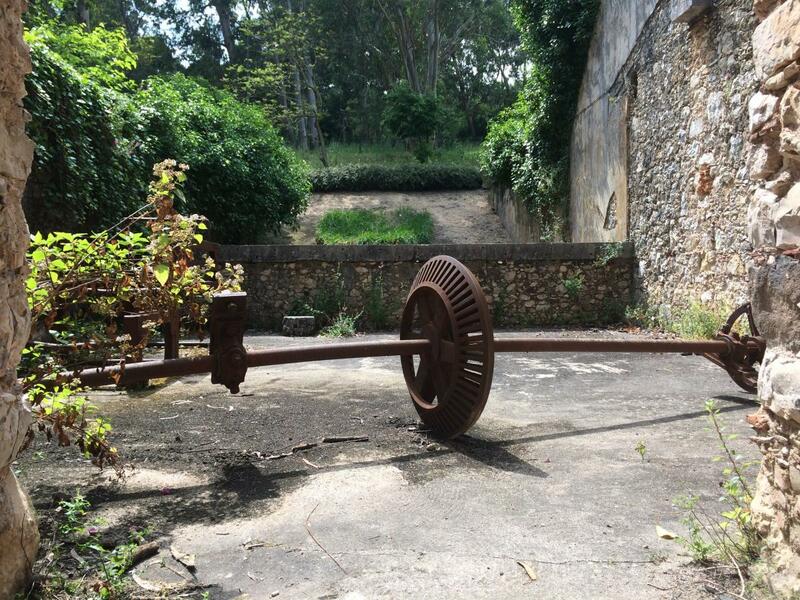 Much of the original machinery can still be seen today along the eucalyptus-shaded trails leading from one building to another. 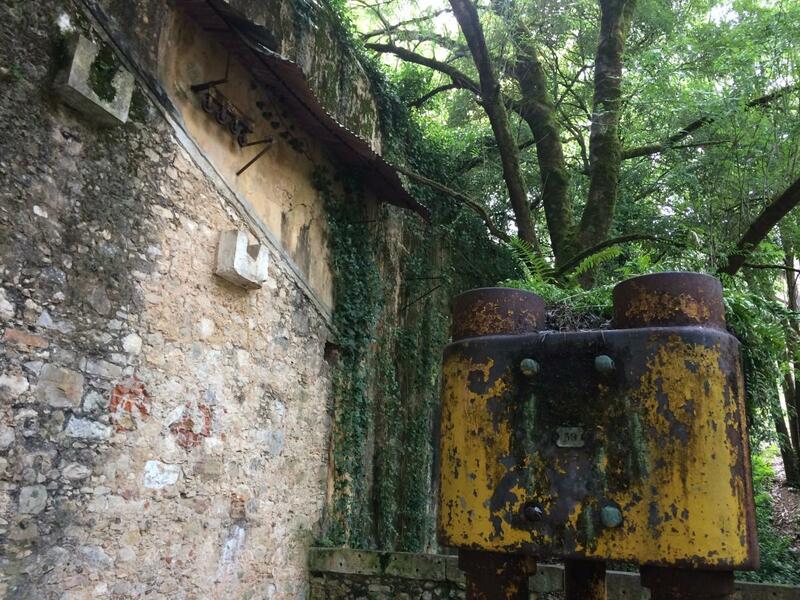 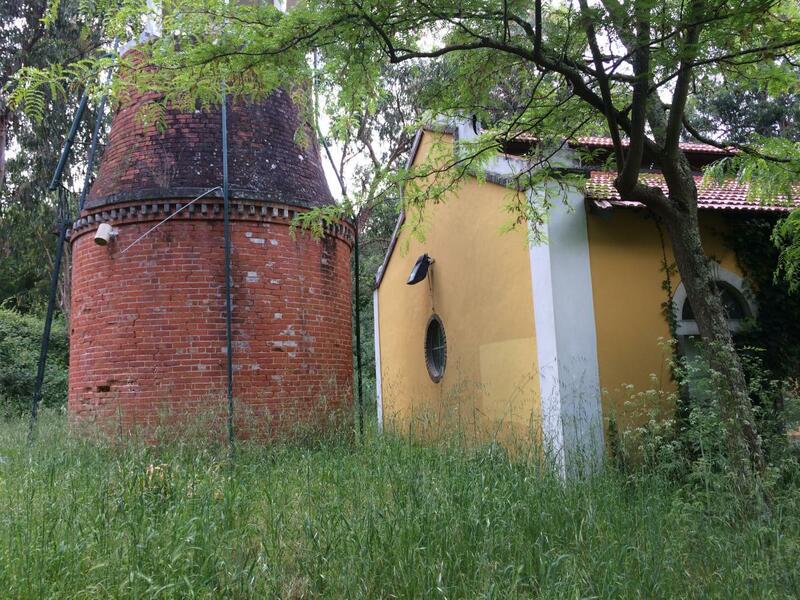 For almost ten years, since the closure of the factory, the Caldeira dos Engenhos Garden has overgrown with weeds while the trees in the Olive Garden shed their fruit to the ground, undisturbed. 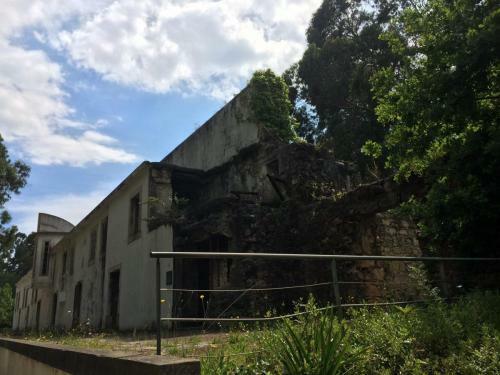 The grand Praça do Sol, the Patio do Enxugo, the steam workshops, and the Galgas building all stood empty, in silent mourning for the casualties of calamities past in one of the many explosions that occurred on site. The slow decay of the complex came to an abrupt halt in 1995 when the Oeiras Municipal Council acquired the facilities and transformed the fábrica into a public complex, dedicating the grounds to cultural activities. 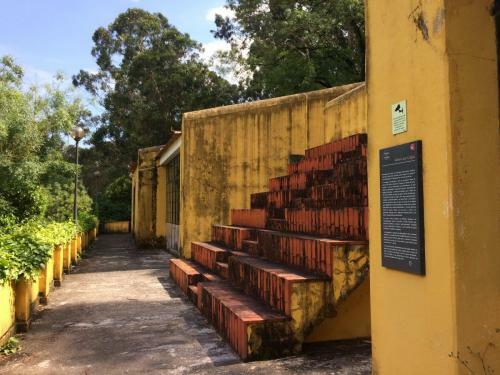 There are plays and musical performances, an archeological museum inaugurated by President Jorge Sampaio, and areas for outdoor family activities in the form of pathways, gardens, and a playground. All are welcome, that is, unless you’re a dog. 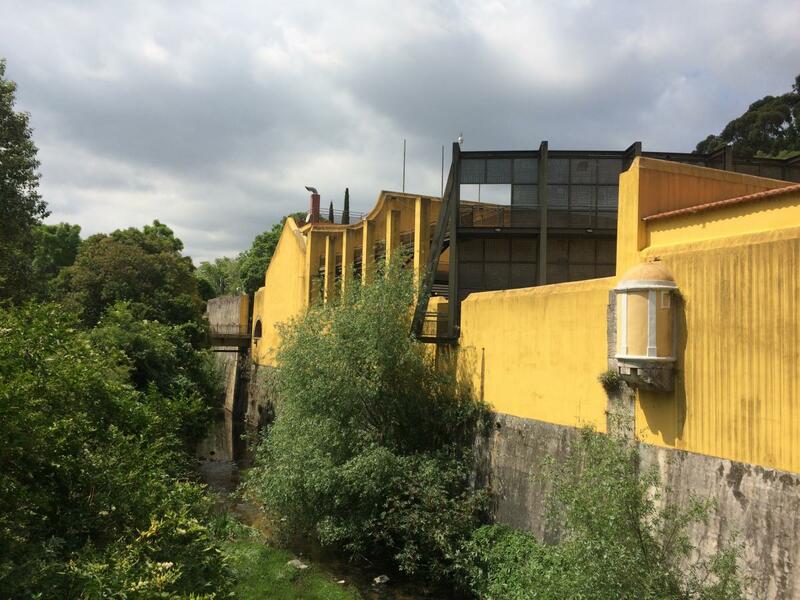 I confess that if it were not for the interview I recently had with José Cardigos, I would probably still be in the dark about the factory and all it has to offer. Artist Studios: There are currently just under 10 artists that call the Fabrica da Pólvora home. 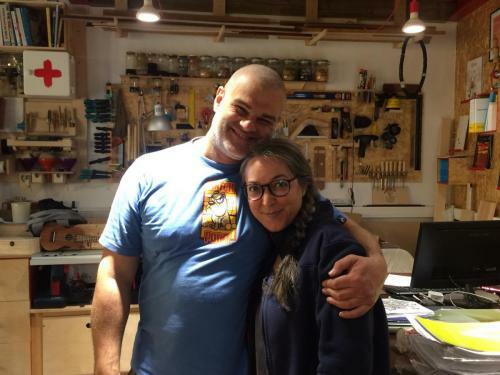 These painters, illustrators, carpenters, and recording engineers give the place a bohemian feel as they create. Often times they’ll offer workshops and private lessons on the side, and are currently discussing a group exhibition. 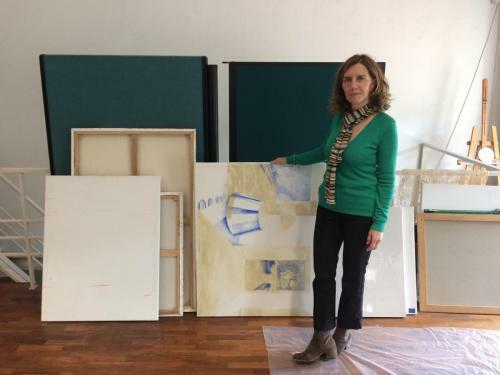 These artists include painters José Cardigos, Isabel Mourão, Pedro Oliveira, illustrators, carpenters, and fine artists São and Marc at the Oficina do Erro and Qual Albatroz, designer Gizela Nogueira, and the hip-hop recording studio Think Music Records. 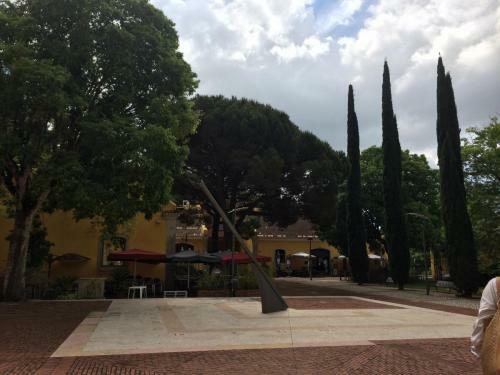 Archeological Museum of Pólvora Negra: Learn about the prehistoric people of Leceia by seeing the artifacts found nearby. 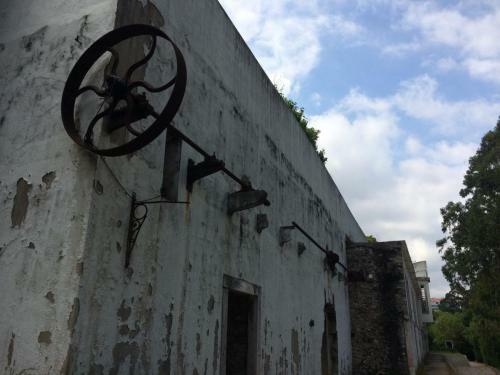 There are free audio guides available upon request or you can contact the lead archeologist Bernardo Lam to show you around (by appointment only) and tell you the history of the Gunpowder Factory and its grounds. 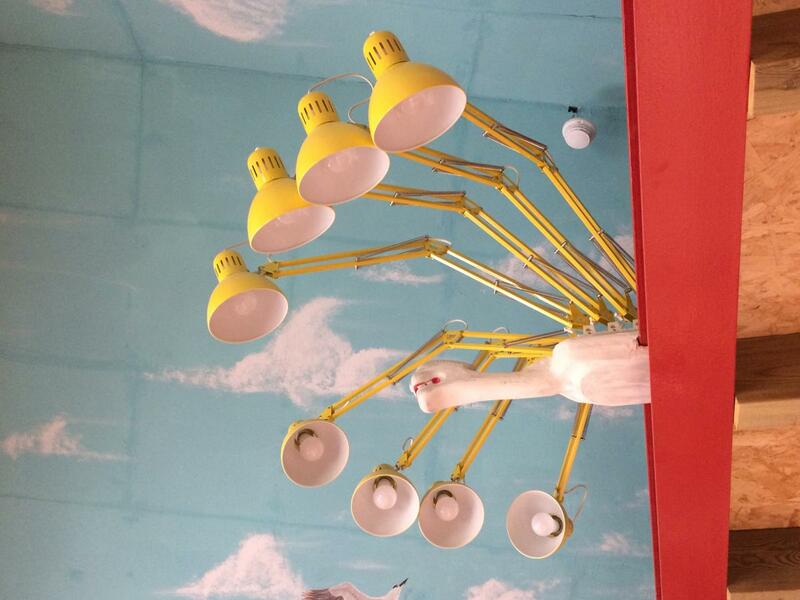 Contact us and we will give you his number, or you can go through the more usual channels.